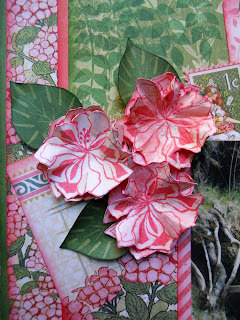 Hello FotoBella Fans! 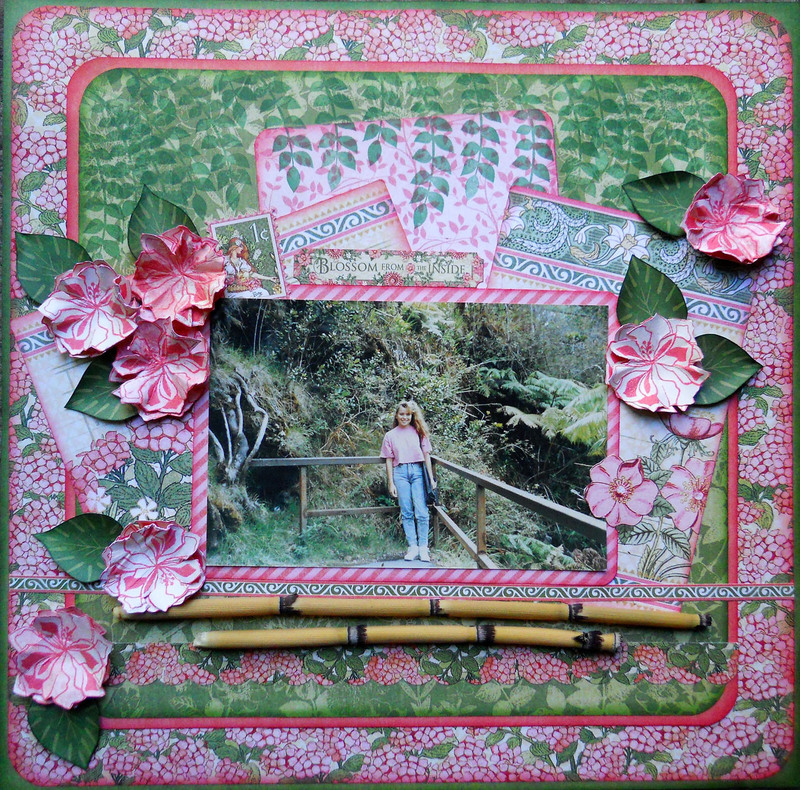 Drea here with a layout made with the Graphic 45 (Garden Goddess) I Want It All Bundle from FotoBella.com. 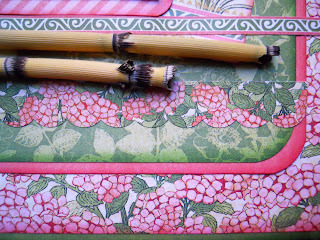 I took my corner punches out for this page, using the Graphic 45 (Garden Goddess) 12 X 12 Collection Pack and the Graphic 45 (Garden Goddess) 12 X 12 Patterns and Solids Pad. 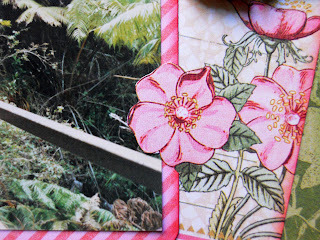 Then I used my Blending Tool to ink the edges with Distress Inks (Worn Lipstick and Mowed Lawn), also used on the Ephemera Cards. I fussy-cut part of the flower on one of them, overlapping this old photo of myself when I was fourteen, on vacation in Hawaii. So please ignore the acid washed jeans. Lol! Then I used permanent inks to stamp all of the flowers and leaves with the Basic Grey Enjoy the Journey Stamp. I also smooshed Distress Ink (Worn Lipstick) on some of the flowers, spritzed them all with water, and scrunched them up for some dimension. The canopy of leaves on top, was stamped with Memento (Cottage Ivy) ink. 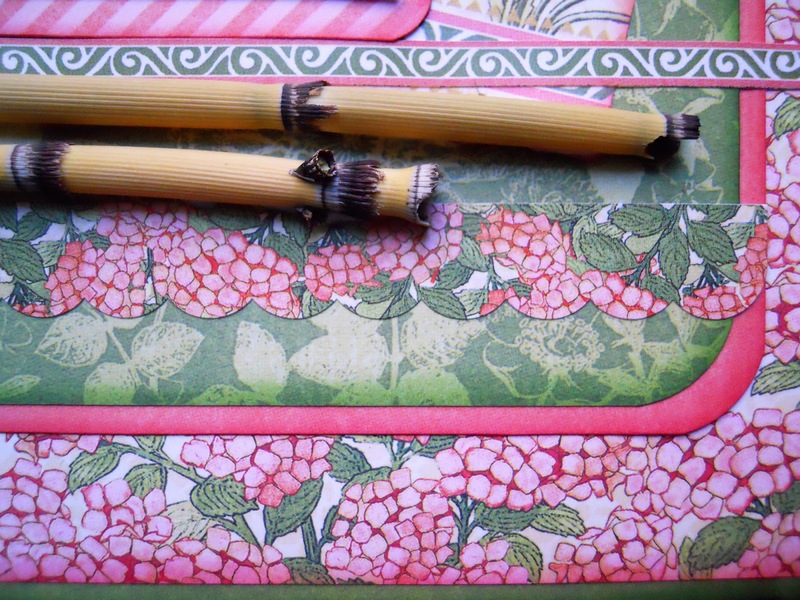 Finally I added some border strips from the Graphic 45 (Garden Goddess) Stickers, and bamboo for some tropical flair. 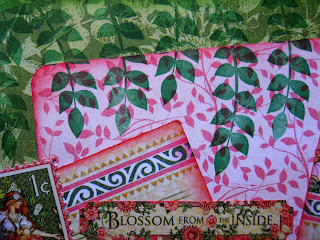 Thanks for your visit, and get the gorgeous Graphic 45 (Garden Goddess) I Want It All Bundle at FotoBella.com!